Many studies have been done over the years to demonstrate the importance sleep has on our health. Getting enough quality sleep can help protect your mental health, physical health, quality of life, and safety. For those of us with allergies or asthma, this is not always so easily done. Dust mites are the most common cause of allergy from house dust. 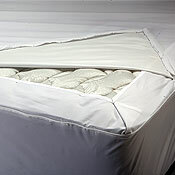 Allergists routinely recommend mattress, pillow, and box spring encasements to prevent inhaling the dust that carries mite droppings, causing allergies and worsening asthma. 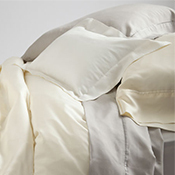 However, encasing your entire bed and pillows may not be enough. 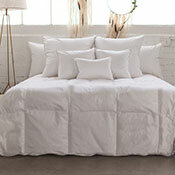 If you are using a standard down comforter, you are most likely still suffering from allergy symptoms. 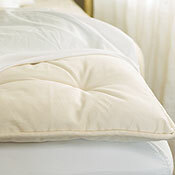 We offer an assortment of allergy-free comforters from Siberian down to organic wool as well as hypoallergenic sheets which are chemical free and dye free. Together, our complete collection of allergy bedding is a big first step towards reducing allergy symptoms, all working together to create a tranquil, allergy-free safe haven for you and your family. 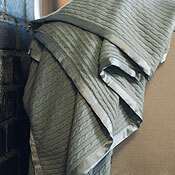 If you are looking to encase your bedding with dust mite covers, you may consider our Solus Organic dust mite covers. 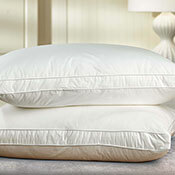 For comfortable, allergen unfriendly pillows, you may consider our Natural Latex pillows. 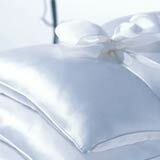 For the ultimate luxurious, healthy sleep, you may consider your mattress with a Royal Pedic mattress set.